All our workshops are through conference call. You will receive an email with phone number and access code once you register. Missed a workshop or you cannot be on the call that day? Just register on the workshop calendar (it doesnt matter if the event has passed) you can still register) and we will send you the mp3 of that workshop. Many ask me about this and yes, it does not matter if you were on the call. Every recording (mp3) is infused with the energies that were used to complete each workshop. When our soul was “born” or “birthed”, it was perfect in every way, totally balanced; but in order for our soul to have “physical bodies” (including physical, mental, emotional), a protection code was put in place so soul could survive in harsh, low vibratory conditions. Soul could not handle low dense vibrations. What started out as highest intent, though, not only protected soul’s bodies, but also had a byproduct (side effects) put into place a mechanism that other negative things could also attack, attach or inhabit soul’s bodies. It took soul from a balanced state to one of polarity. It also created a situation that soul itself never could “feel” complete… a situation that an individual would always be looking for completion, looking outside of oneself for answers, looking for outside influences to solve life’s questions. Added to that, soul’s bodies became potential breeding grounds for cords, negative attacks, emptiness, low self esteem, etc. The original protection code was put into our amniotic fluid. After we, as a fetus, started to grow and mature in our mother’s womb, according to Wikipedia, amniotic fluid or liquor amnii is the nourishing and protecting liquid contained by the amnion of a pregnant woman. Amnion grows and begins to fill, mainly with water, around two weeks after fertilization. After a further 10 weeks the liquid contains proteins, carbohydrates, lipids and phospholipids, urea and electrolytes, all which aid in the growth of the fetus. Amniotic fluid is continually being swallowed and “inhaled” and replaced through being “exhaled”, as well as being urinated by the baby. It is essential that the amniotic fluid be breathed into the lungs by the fetus in order for the lungs to develop normally. Amniotic fluid also protects the developing baby by cushioning against blows to the mother’s abdomen, allows for easier fetal movement, promotes muscular/skeletal development, and helps protect the fetus from heat loss. As a person is born this “protective film” has integrated itself throughout all your “bodies.” Since the vibratory rate of our earth has been transforming and we also have been increasing our individual vibratory rates, we no long need the protection we once did. As we stated above, the original intent of the amniotic protection was solely to help us “cope” and be able to survive in the worlds we were to inhabit. Not only do we not need that protection, but the original intent bastardized from protection to actually setting up situations that held us “earth bound” (or any planet bound), we became fertile grounds for anything outside of ourselves. It was almost as if we became giant magnets or the stuff flycatchers are made up of and drew all sorts of unsavory things into our bodies (again, bodies being physical, mental and emotional). No wonder no matter how much we try, we have been unable to sustain a balanced state. We can get centered, but find it difficult to maintain it. We can get rid of cords, etc. but they seem to come right back or have others replace the ones we just got rid of. We keep looking for “the answer,” think we find it, but somehow we still have a “hole”…. We ‘know’ we are vibrating with much less density, but it never “feels” like it. We have talked about cords before but did not realize what a broad spectrum of things that could cause a cord to form. We knew that a cord could form when we think of someone or when someone thinks of us both in a positive or negative (psychic attack) way. Let’s assign a category to that form of cord, relationships… Other major categories could be diseases (diagnosis), habits, medicines, addictions, anxiety, financial issues, lack of exercise, unhealthy diet, any issues that cause you to procrastinate, issues you worry about, problems you take on that belong to friends and relatives. •Scattered and off balance most of the time? •That you feel separate from your body and that it has a will of its own? Our body’s consciousness is a separate, sentient being in its own right called the Keepers of the Human Legacy. Their job is to maintain us in maximum separation from God/Source. This is to expand consciousness into unknown parts of Creation. This creates a conflict as our personality and soul are rising in frequency. 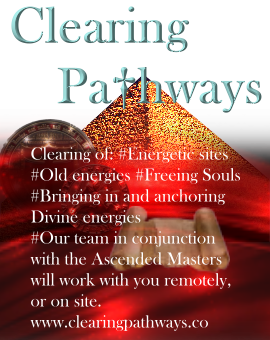 •Changing the Keepers’ orientation so that they align with the soul and absorb the Higher Light. From the instant I walked in, I knew that the reason for my embodiment was to assist people to have a direct experience of God. This is the underlying purpose of everything I do. As Rapture, I am the Force of connectivity within Divinity, a bridging function of All-That-Is. 5. Clearing Your Food and Drinks This rolls back to conception. Divinity thresholds are 3rd till 12 dimensional structures located in the pelvis, back and legs. Their purpose is to prevent Spirit from embodying below the ribcage. As the Higher Light descends into the body it triggers primal survival patterns that are fear based. Eventually the Higher Light will awaken the Adam Kadmon/Divine Image of Man in our DNA. Removal of these Divinity Thresholds allows our Spirit to more fully embody the physical body. Etheric Crystal Removal removes limiting fifth-dimensional crystals, in your etheric bodies. These block multidimensional capabilities and cause the above symptoms. The purpose of the crystals is to create the feeling that we are separate from God by blocking these higher functions. The crystals get overloaded as more and more light pours into the body. This creates pressure and pain in the head and upper body. This work opens the DNA to accept more Light. 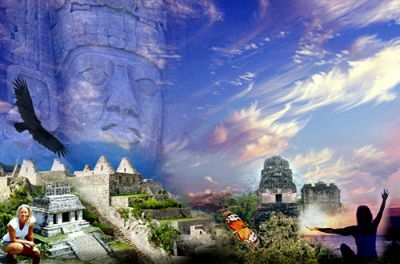 It supports the building of the Lightbody and prepares the energy bodies for reunification with the higher light bodiesl. If you are having most or of these symptoms it may be time to have a Karmic Matrix Reabsorbtion/Divinity Activation. (KMR/DA) If you are having the first four symptoms you may have experienced a “Reincarnation in the Same Body” where your soul contract has been upgraded. 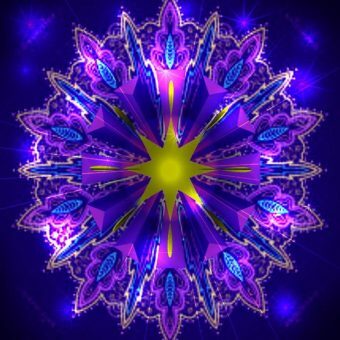 •Your Spirit decides which patterns are to be removed and which orientations of Divinity are to be infused. This process is co-created with your Circle of Keepers of the Legacy throughout your incarnational grid. The Legacy holds all of the experiences of all of humanity including the experiences, decisions, and reactions of your soul, the Keepers, and the sentient physical bodies. 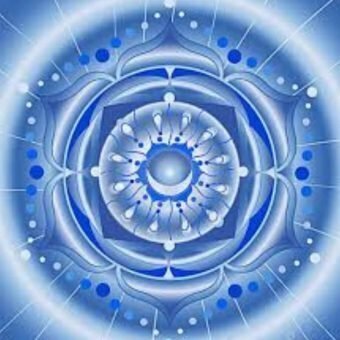 First we link all of the Circles of your incarnational grid into a Wheels within Wheels geometric formation, and assist them to synergize the collective Vision. Together, we discuss how to appropriately close the access to, and influence from, parts of the game of limitation projected within the Legacy. We remove vows, reality crystallization, karmic monadic structures, and reactivity. We remove any entities and close all of the gateways. Then, we open access to the appropriate Heaven on Earth realities within the Legacy. These will be the realities that best serve the manifestation of the synergized Vision held within the Circles. Finally, we open access into the Higher Legacy in the fifth dimension, so that the Circles throughout your entire incarnational grid can experience a constant downloading of information, orientation, and structure. Liberating the Legacy is designed to transform what is available in the background reality. * A deep sense of freedom and completion of the old game of limitation. A whole new level of vision and determination emerges. This technique allows the old world to die and the new world to be born simultaneously. Merkavah Interface assists the Merkavah Ein Soph to manifest from the micro of the atomic into the macro of your life and bodies. That has really been the goal of all of this work: to know God, in all of its facets, in your cells, bodies, heart, mind, and soul. We wish the experience of the Merkavah unfurling within you to be ecstatic. When the Phoenyx of Yah opens and lifts this planet into the Many Mansions of SHAH, we want you to be without fear, rejoicing in the magnificent reunion that you have co-created with Source. Merkavah Interface performs Kiddushin Enmesh ù Sanctification of the Soul, Kiddushin Loam ha- Ze ù Sanctification of this World, andKiddushin Loam ha-Bah ù Sanctification of the World to Come. We use the ten Divine superscripts, and the seven chasmal flames through a decal-delta pyramid system, to re-encode and recalibrate theAdam Kadmon- primordial Source – into the bodies and blueprints. When the Adam Kadmon is bestowed upon a Lightbody it becomes an extension of SHAH. Using the 144 Permutations of the Names open access to the Perfect Unity of Keter, Chokhmah, and Binah, so that the full sanctification can flow and balance the Attributes within you. We will strengthen the inner Throne so that its Light can blaze forth into the world. Then we assist the unfurling of the Merkavah with and around you, aiding your fields and bodies to increase capacity in quantum leaps. Your individual Merkaba will form or open and interface with the Merkavah Ein Soph. 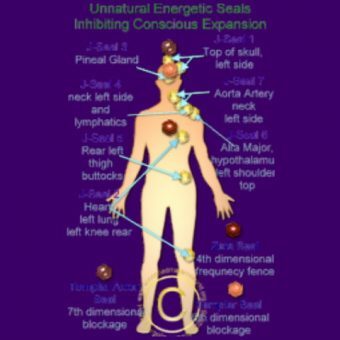 In Shefa Infusion, we open and activate the structures created in the Shefa Interface. We use the 76 Names of the Dialectic to open the Pillars of the Tree of Life, and the 36 Permutations of the Names of God for each of the Flames of Love to open the pathways and spheres. The five sacred languages are used to balance the horizontal and vertical circuits in the body and fields. The Eternal Light of the Nartoomid is used to rebalance and fill the Soul Spiral, Christ Spirals, and the holographic projection systems. Then we open the flow of shefa itself into the pathways and spheres of the Tree of Life within. Operating on the principal of ‘as is above, so below, Shefa Interface and Shefa Infusion performs both Tikkun Nefesh regeneration of the soul, andTikkun Olam regeneration of the world and the pathways and spheres themselves. As the Heavenly Merkavah Ein Soph unfurls itself through the subatomics of this universe, for higher octaves of frequency and full preparation for the structures of the Adam Kadmon become available at this dimensional level. The services connected with the upper three spheres, Shefa Interface, Shefa Infusion, and Merkavah Interface are advanced processes created by the Elohim and Takh Continuum members of the Council of Ein Soph. By their very nature these processes are difficult to describe. In Shefa Interface we lay the patterning of the spheres and pathways of the Tree of Life into the prepared fifth, sixth, and seventh dimensional blueprints and replicate the structure into the cells and atomic field. We interface the inner and outer Garments of Light; the inner planes of the Shekhina and the outer world of manifestation; the Soul and Christ Spirals; and the holographic projection systems. The Keepers involved with the Bennu Legacy Inner Synergy Re-Alignments are called the Keepers of the Circle of Formation. They are in charge of the basic background reality orientations operating in the lifetime. The Keepers hold their positions with great dedication and perseverance. They passionately serve the wholeness to the best of their awareness and ability, and regard their work as a sacred commission. The original instructions that they received were to maintain aspects of survival orientation, separation orientation, karmic personal interactions, and limitation of multi-dimensional access. Clearly, those parameters are now obsolete. Even though most of the Keepers now know that the “fulfillment of the Destiny of Humanity” is taking place, they do not yet know how to step into their new jobs. Most of the Keepers have ceased doing their old jobs unless they are particularly stimulated by life circumstances. We have observed that most of the difficulties that people are having with their relationships, resources, health, connection with Spirit, motivation, and the manifestation of Heaven on Earth, are emerging from miscommunication with and between the Keepers. By calling forth each Keeper, explaining the new parameters, and accessing them to the inner vision, a complete realignment of the Circle is possible. The Keepers are more than willing to transform when they understand what is required of them. When a Keeper changes its positioning, it changes completely and instantly. They each bring amazing amounts of dedication, impeccability, and perseverance to their new co-creative assignments. When the entire Circle is transpersonally realigned to the co-creative manifestation of Heaven on Earth, the transformation is awesome. “Ze-Yod” means “This is God.” The purpose of this work is to allow our consciousness to recognise itself as Divine. We go beyond the boundaries of form and access our multidimensional nature. I have been a channel for the Ascended Masters for most of my life, I have been teaching with the Ascended Masters since 2007. It has been a journey for me and my family, as we continue the path of Cosmic Ascension in this lifetime. I hope You enjoy reading all the messages I have received over the years. Including some of my personal experiences during this time of transformation and spiritual awakening. It has been an amazing time and more is yet to come. Hope to see you here often, and maybe in one of our workshops or our Lightworker World Community. ASCENDED MASTERS shared a post. I have noticed many close their eyes for what is really happening behind the curtain. Many see the lightworkers way and disciplines as needing to be love and light. But what is mostly needed is to burn away all the so called negative energies not just from the earth but also our spiritual being. Just Trump being there as an attractor of the negative energies is worth applauding. The amount that is being sent to him is quite amazing and he is still standing. By doing this he allows everyone to bring up all those energies go through them and release them. As well as these energies are being pulled out of the collective human consciousness and the earth. That release of anger and hate is needed. Many have so much anger and hate pent-up within them. And as far as core and ethical, he has sometimes more than many of the ones hating him. When I see some people commenting about things that happen many are not being honest. He just banned bumpstocks after Obama talking about it for 8 years. He did criminal justice reform turning back the law put in place by Clinton. The Democrat party was the party that wanted to keep slavery in place. Black unemployment is now the lowest it has ever been. Look at actions. Not words. Although I think he loves to upset the people he knows how to bring out their worst. He is not that divisive. I would say the people that hate him are divisive. Just watch them. Sometimes I wonder if they have a website or conference call every night. As all the Democrat commentators say the same thing every day. Even when he does something nice like visiting the troops with Melanie they will say yes it's nice and then start to point out all the negative stuff. Or at least what they consider negative. Even when they say something nice it's like they have to force themselves to say it. That's the divisive part. When a child dies at the border they blame Trump not the father that took the child on a two thousand miles trip and admits that the only reason he took the child is because it would be easier to get into the US. If a cop is killed by an illegal all they can say is cops get killed. If an illegal is killed they all go nuts. Something just doesn't add up. I have seen the energies of hate being sent to Trump as well as his higher being and I know he is an amazing master that took it upon him to flush out all the hatred etc. I am not American even though I live in the US so can look at it from an outside perspective. I don't get caught up in words. ASCENDED MASTERS shared a link. We will have a meditation each day starting on December 13 and ending on December 24. On each of those days we will move into specific parts of our universe and the star systems to bring back with us the gifts that we are ready for. The 12 days before Christmas. Support us! As we keep you up to date to all that is happening on earth and within this earth reality. Dont forget to follow us on Facebook or Instagram:) If you like our work, buy us a coffee by clicking the donation button below. This will direct you to your PayPal. We need the help of people like you! 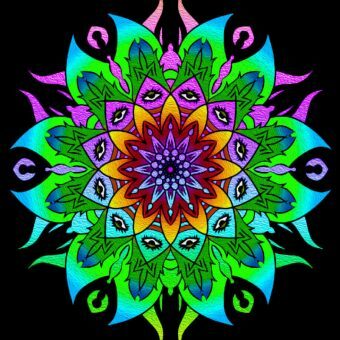 Summer Sale in our Lightworker Store!